Among the many signs of spring – like birds chirping and daffodils sprouting – is the news that pitchers and catchers are reporting for spring training. 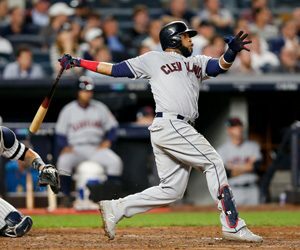 Baseball season is still more than a month away, but thinking about the action on the diamond and doing some professional sports handicapping on the World Series betting odds are great ways to stave off the winter blues. The most public play in all of baseball is among the three frontrunners to win the Fall Classic. New York, along with the Los Angeles Dodgers and reigning champion Houston Astros, are set at 5/1 odds to win the World Series, with the Yankees’ addition of slugger Giancarlo Stanton as the main catalyst behind this bump to the top of the futures board. However, New York has some big question marks entering 2018. Not only are the Bronx Bombers under a new skip in manager Aaron Boone, but it will be interesting to see how Aaron Judge performs in his sophomore season. His production dipped severely in July and August before closing with a strong September. The one plus with taking the Yankees right now is that there are still plenty of notable free agents on the market and New York has never shied away from flashing the cash. The pitching rotation is still up in the air when it comes to the Cubs, with ace Jake Arrieta still unsigned and being courted by all the big-spenders in the majors. On top of that, there are rumors that Chicago is pursuing Yu Darvish to help bolster a pitching staff that underperformed in 2017. Despite that, the Cubbies are among the second-level favorites to win the World Series, alongside the Wahington Nationals and Cleveland Indians – the team they beat in the Fall Classic two years ago. What we do know about the Cubs is that they will continue to push runs across home plate. Chicago scored more than five runs per game last season and bring back the bats of Kris Bryant, Anthony Rizzo, and Willson Contreras. Chicago will either need to sure up the pitching staff or get an uptick in production from hitters like Kyle Schwarber, Addison Russell, and Javier Baez to make a run deep into the NL postseason. The Rockies were a surprise contender out of the National League West in 2017, facing a relentless schedule with the Los Angeles Dodgers and Arizona Diamondbacks among the top teams in the Senior Circuit last season. Colorado doesn’t have to worry about offense, plating 5.09 runs per game – third best in the majors last year. The Rockies spent some coin this offseason boosting their bullpen, dropping $104 million on relivers such as closer Wade Davis, set-up man Bryan Shaw, and the re-signed southpaw Jake McGee. Colorado’s bullpen posted a collective 4.40 ERA – 20th in the bigs – last season and blew just 14 saves in 61 opportunities. The starting rotation is the one pain point, and those issues are enhanced when you play half your games in the home-run friendly thin air of Coors Field.